Many of you may have heard of California’s ban on foie gras. The ban was signed into law in 2004 by that notorious hippie, Governor Arnold Schwarzenegger, but did not take effect until 2012. Fewer of you may be aware of the current litigation over California’s low carbon fuel standard (LCFS) program. Litigation concerning both the LCFS program and the foie gras ban advance a rather interesting legal question: can California regulate a product based not on its physical properties, but rather on its method of production? the result of force feeding a bird for the purpose of enlarging the bird’s liver beyond normal size. If you want some more background on the foie gras controversy, I recommend this article by Nicolette Hahn Niman in The Atlantic. To be fair, a major strategy of the opponents of the foie gras ban is to have a court declare the law unconstitutionally vague, for failing to describe force feeding in sufficient detail. I am not terribly concerned, however, with this line of reasoning. The Commerce Clause promotes the free and efficient interstate trade of goods by, in effect, giving Congress (and presumably not the states) the right to regulate such interstate commerce. Now, generally speaking, states do have the power to regulate and limit the import and sale of various products, particularly products deemed harmful or dangerous to a state’s residents. Lead in children’s toys, for example. But in this case, the asserted harm from foie gras is (mostly) in the production—in the force feeding of the goose (this is not, for example, a ban meant to improve the health of California residents). The challengers to California’s LCFS program make a similar argument. California seeks to discourage, and account for, high carbon-intensity fuels used in California, thereby lowering California’s carbon footprint and doing its part to slow and eventually reverse climate change. The LCFS program accomplishes this by requiring producers of high carbon-intensity fuels to purchase offsetting credits generated from producers of low carbon-intensity fuels. Essentially, high carbon fuel production, such as oil, would subsidize low carbon fuel production, such as Brazilian sugarcane ethanol. Now, for a variety of reasons, California has decided to measure the total lifecycle production of carbon attributable to each specific fuel used in California. So ethanol produced in the Midwest would be assigned a carbon intensity rating that accounted for, among other things, the greenhouse gases emitted from the electricity plants that supplied electricity to the ethanol factory and the emissions associated with the transportation of that ethanol to California. Midwest ethanol producers and others objected that this amounts to an unconstitutional regulation of interstate commerce because California is (indirectly) interfering with the construction and management of Midwest ethanol plants. A useful analogy might be child labor. Can a state ban products produced by child labor? (As far as I can tell, this has never been a litigated issue in the U.S. at the state level, because the federal ban predates most state legislation on the subject.) Certainly, a broad child labor ban does not discriminate against interstate companies, in the sense that both in-state and out-of-state firms could not sell such products in California. But the products themselves are not (necessarily) physically different simply because either an adult or a child produced them. 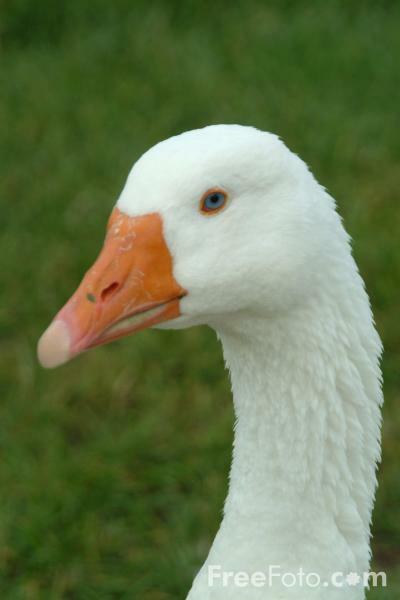 Similarly, foie gras produced without force feeding a goose or duck, presuming that is possible, is basically the same physical product as foie gras produced with force feeding. And clearly ethanol produced using differing sources of electricity is still basically the same physical ethanol. But in these cases, California does not appear to be using its regulatory power to benefit in-state companies to the detriment of out-of-state companies. It is the residents of California who will be unable to easily purchase foie gras and will pay more, at least in the short term, to encourage production of low carbon fuels. California leads, others benefit. Which makes these two cases quite different than the typical Commerce Clause litigation. The foie gras case is currently being appealed to the Ninth Circuit. And the Ninth Circuit has scheduled oral argument for October 16th in the LCFS case. But the Ninth Circuit may not be the last word on this issue . . .
What Drives Anti-Regulatory Public Opinion?